Tags: Bottle Green, Formal, Heavy, Large Flair, Light Brown, Mehndi Mayon Henna, Orange, Shocking pink. 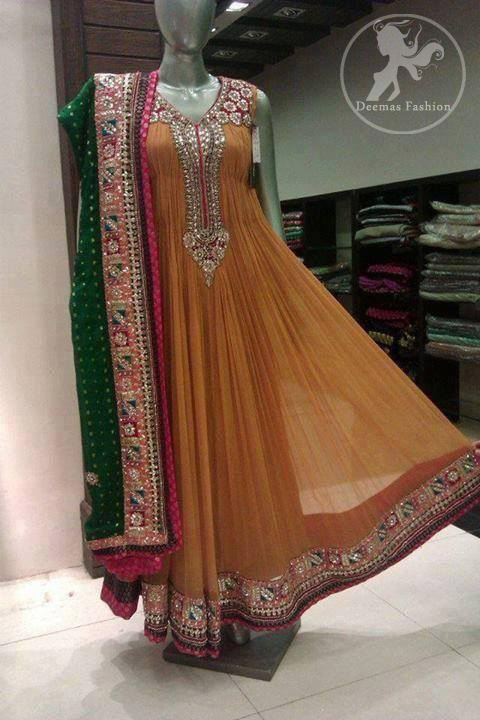 Light orange large flare crushed frock having embroidered neckline and border at hemline. Bottle green banarsi chiffon dupatta having four sided embellished border and finished with shocking pink piping.